This is an engraved Netball Award, called a Gold Flash Netball Award. 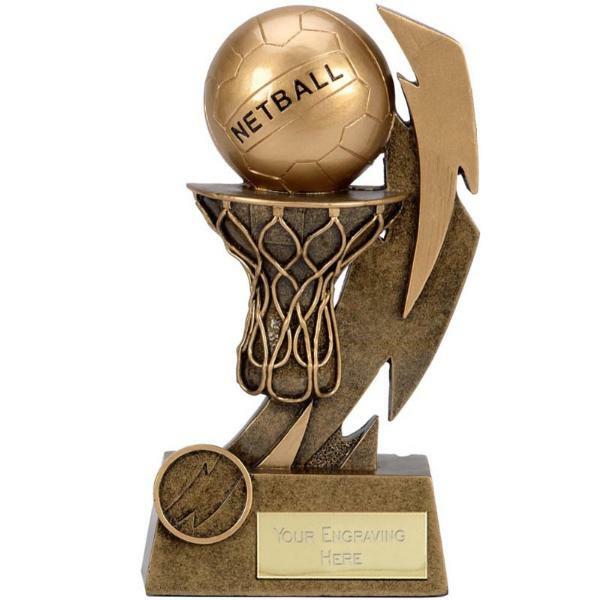 The netball award is 12.5cm high, but is also available in a larger size of 15.5cm. The price for the netball award includes up to 50 characters engraved free, with additional letters charged at 15p a letter. The postage rate for the engraved netball award is band B.